I think David Barton is a pretty cool guy. He researches the mainstream of American religious history, and doesn’t afraid of anyone. Barton specializing in discovering facts that make atheists angry. It is misleading to respond to him with other, unrelated facts. Obviously any atheist knows that the influential Founding Father, Thomas Jefferson, was anti-Christian; and furthermore, that weird sectarians were openly tolerated from America’s earliest days, although they were sometimes driven out of mixed communities. However, that doesn’t disprove anything Barton says. Here is is Capitol Tour video. My friend did some Snopes style fact checking, and I’ll add commentary. When Kinjiro was born, the family were really in hard straits. 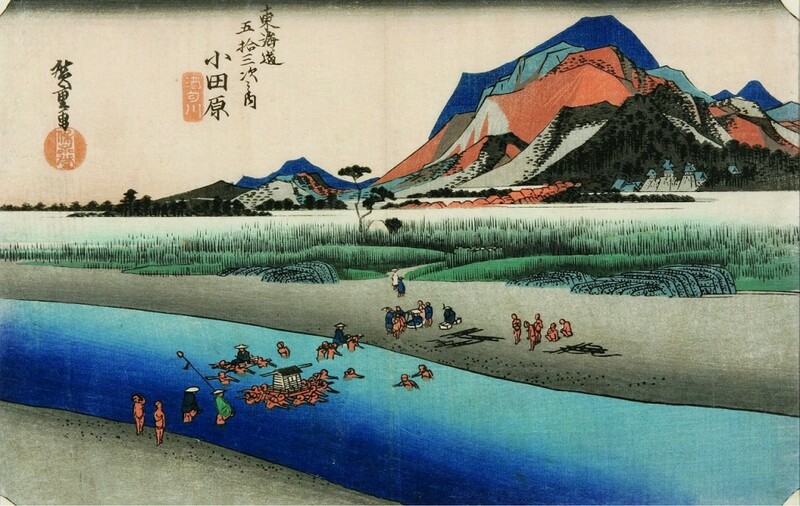 To add to their distress, when Kinjiro was five years old, the Sa[kawa] River overflowed its banks and washed away his father’s land, leaving them in abject poverty. When Kinjiro was about twelve years of age, he went to work for a year with a farmer in the neighborhood. At the end of the year, before starting for home, he received, in addition to his board and lodging, a Japanese kimono and about two yen. His mother expected him early and was waiting for him, but when at night he had not returned, she became quite anxious. Shortly after dark he came rushing in, all out of breath, and full of excitement. When his mother reproved him for being late, he told her that in the morning he had received from his master a kimono and two yen, and had immediately set out for home. On the way he had met a man with a lot of little pine trees for sale. The poor man was very disheartened, because he had not succeeded in selling a single tree, and told Kinjiro that unless he could find a buyer he would be very much distressed. Kinjiro was sorry for the man, and an idea struck him whereby he could not only help the man, but could at the same time do the whole community a good service. As we already know, the Sa[kawa] River sometimes overflowed its banks. Kinjiro thought if a couple of rows of pine trees were planted along the banks of the river, and once took root, it would remedy this difficulty. So he bought all the trees and spent the remainder of the day planting them. He felt sure his work would have its reward. To-day those trees are large, and not only support the river bank, but add much to the beauty of the scenery. They stand as a living monument of little Kinjiro’s thoughtfulness. Let’s put aside the fact that Kinjiro gave the fruits of a year’s labor to save a local farmer. What is clear is that the problem Kinjiro solved is one that was also faced by the people of Japan in the 1960s. Rivers in Japan frequently overflow and damage riverside structures. Or, at least, they used to. Nearly all the rivers in Japan have been filled in completely with concrete. Nobody ever thought to plant multiple rows of trees on the riverbanks. The Sakawa River itself has been dammed, and Kinjiro’s surviving trees were almost chopped down by thoughtless bureaucrats; the townspeople saved them. Kinjiro was beloved by the people of his area because of his wisdom and his big heart. The people of Odawara City where he was born still remember him fondly today, referring to him as “Sontoku-sama”, and honoring the trees he planted there. A few websites therefore relate the story of the planting, but nobody seems to have made this connection with the state of Japan’s rivers today. Would that we had more like Kinjiro, and fewer building statues of him.